Order custom smash it piggy banks in wholesale and receive attractive savings. 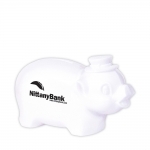 Personalized smash it piggy banks are perfect promotional gifts for your business if you believe saving habits should start at a young age. These piggy banks differ from the other models due to their design and it is difficult to extract money from it without smashing the bank. Free design assistance, free online design proof and fastest turnout time are some of the benefits that are offered on these orders. All our promotional piggy banks are offered with 110% lowest price match guarantee and 100% customer satisfaction guarantee. 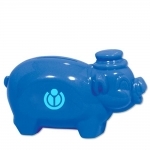 Custom Printed Smash It Piggy Banks Inspire Kids to Smash Their Old Spending Habits and Embrace Saving Habits! 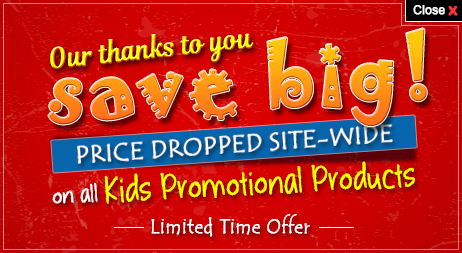 Do you wish to make your campaign a smashing success without overspending? Perhaps you should seek these personalized smash it piggy banks! 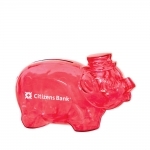 These personalized piggy banks are extremely popular. These piggy banks help kids to safeguard their savings and help to instill sense of responsibility in them at a very young age. Being offered with transparent and colorful bodies in exciting designs, it may be difficult for any user to smash it off. This is the reason why it ends up on study tables, bedroom tables or lockers for a long time. In short, it will lend long time exposure to your brand information that is printed on them. Wholesale custom smash it piggy banks are perfect for distribution during fundraisers, school events and many other kid-friendly promotions. 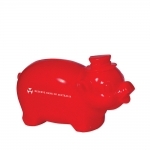 These piggy banks also make indulging, affordable and value effective gift choices for financial institutions, credit unions and banks which are trying to attract more people to their business. Customized smash it piggy banks never go out of fashion and they are perfect to gift throughout the year. 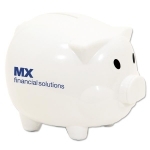 Although logo printed piggy banks make a year around gift item, schools, parent councils, financial institutions can position these giveaways at the beginning of the year or at the beginning of new academic year. Due to the abundance of variety in the selection at Promo4kids.com, you are likely to get confused with the right choice of personalized piggy banks in smash it designs. Our product specialists will be happy to help you out of this situation with their industrial wisdom. 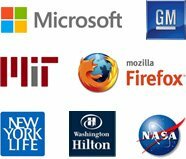 They will work closely to understand your promotional requirements and advise accordingly. If you are in a dilemma and wish to come out of the situation, feel free to call our experts at 855-454-3786 or email us at info@promo4kids.com. They will ensure your brand logo turns out according to expectations and looks great over these customized piggy banks or other promotional giveaways for kids.